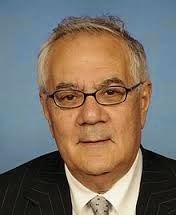 Former House Financial Services Committee Chairman Barney Frank says President Barack Obama lied to Americans about being able to keep their healthcare coverage, and he was “appalled” by the president’s inaction during the botched Obamacare rollout. Frank, who retired in 2013, remains a strong Obamacare supporter and has often defended Obama and his agenda. But he told The Huffington Post that he still doesn’t understand the president’s actions during the rollout.